These presentation slides 41258 are complete compatible with Google Slides. Simple download PPTX and open the template in Google Slides. 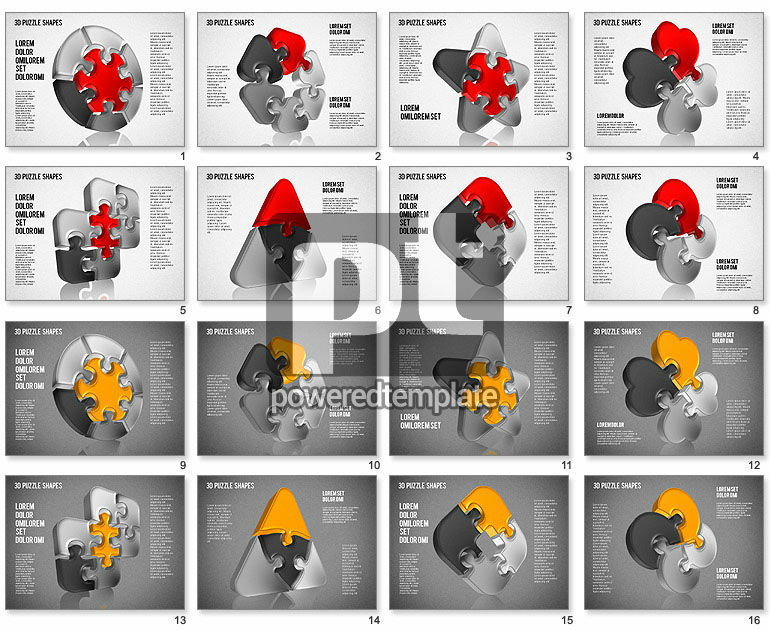 Don’t miss a chance to use this smart Puzzle Shapes 3-D sample created in a cool style. It has lots of various colorful figures connected in a puzzle way to rounds, triangles and others with big areas for your information. Created on two variants of the background with different color palettes, this cute theme is multifunctional so you may use it everywhere in business and other spheres as well.